Sarah Vaughan And Her Trio: Sarah Vaughan (vocals), Johnny Veith (piano), Gus Mancuso (bass), Eddy Pucci (drums). __________________________________________ Recorded at the Berliner Jazztage, 1969. Maybe Cootie Williams is not up to the task on “Take the A Train” …, but Gonsalves-Ashby-Turney tenor sax battle is a riot(on “Triplicate”) and Duke is always a pure joy to watch and listen, conducting and leading his orchestra and the smaller outfits…” (from the Nikica Gilic’s comment on Amazon). 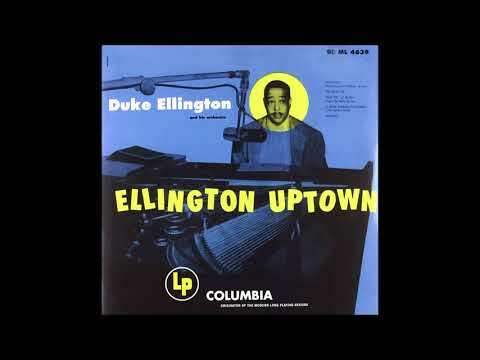 Duke Ellington And His Orchestra: Duke Ellington (piano, conductor), Russell Procope (clarinet), Harry Carney (bass clarinet), Money Johnson (vocals, trumpet), Paul Gonsalves, Harold Ashby, Norris Turney (tenor saxophones), Cootie Williams (trumpet). Sarah Vaughan And Her Trio: Sarah Vaughan (vocals), Johnny Veith (piano), Gus Mancuso (bass), Eddy Pucci (drums). Recorded at the Berliner Jazztage, 1969.